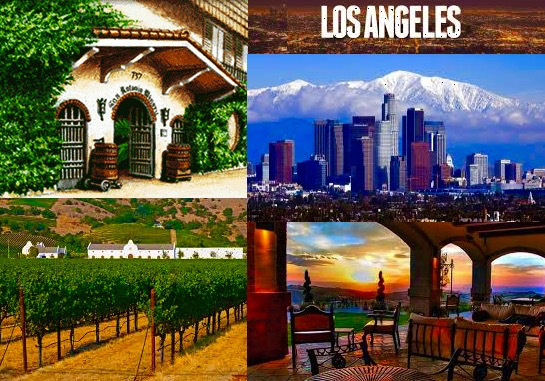 Home / LA Wine Tours / Los Angeles Limo / Los Angeles Wine Tour / Malibu party bus / Ventura limousine / 5+ Best LA Wine Tours! 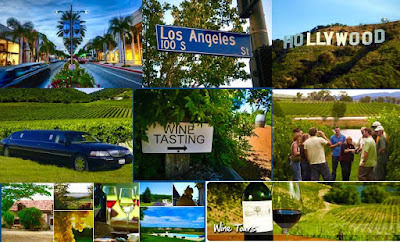 5+ Best LA Wine Tours! No place embraces contradictions like Los Angeles. One of the biggest cities in the world may seem to some as an unlikely destination for wine-tasting and wine-tours, but American Luxury Limousine’s growth the past decade has really shown us all the gorgeous vineyards, wine country, and wineries of the Greater Los Angeles Area, Los Angeles County, and beyond to Temecula and the Santa Maria- and Santa Ynez Valleys. We are incredibly proud of not only being the top rated and largest limousine service in Southern California, but also the premier winetouring services in L.A. We have been offering customized tours for more than fifteen years and know the wine country of SoCal better than anyone. We specialize within Malibu Canyon wine, Los Olivos wine, and other Southern California wines and wineries, and are available 24/7, 365 days per week for your convenience. The wineries and vineyards of the Los Angeles region are not only plenty, but they are also incredibly varied in size, location, style, selection, history, and so much more. Would you prefer to look out through the Pacific Ocean while you’re out wine-tasting? Then maybe Rosenthal by the Malibu coastline is the choice for you, if not, maybe the Deep Sea Tasting Room on the American Riviera in Santa Barbara. You want a closer location to Downtown L.A.? Try out the San Antonio Winery in the heart of Downtown Los Angeles! Further away from the city? Maybe the gorgeous, historic, and quiet vineyards of Sunstone Vineyards & Winery in the village of Santa Ynez is your ideal wine-destination. For something in between, try our customers rising favorite, Malibu Family Wines, tucked in the natural beauty of one of the many canyons in the Malibu Canyons. In order to help our customers who would rather prefer to read up on their choices for an LA wine tour, our premier wine-connoisseur has compiled this information for our clientele. This is our recommendations for Southern California wine tours. Not too many know of the wineries of Downtown Los Angeles! Maybe hard to believe, but the one-time frontier village of El Pueblo de Nuestra Señora la Reina de los Ángeles de Porciúncula (The Town of Our Lady the Queen of the Angels of the Porciúncula River), was home to hundreds of vineyards and wineries spread throughout the Los Angeles River Basin. One of the very few that has remained in L.A. since the repeal of the Prohibition is the San Antonio Winery, which offers wine-tasting in the heart of Downtown LA. The winery building itself on Lincoln Heights was built in 1917, and designated a Los Angeles Historic-Cultural Monument in 1966. They use wine grapes from Monterey, Napa, and other Californian vineyards throughout the state, while their own white wines are among the exceptionally few still grown and harvested in Downtown Los Angeles. This place does not only offer amazing wines, but is an historic site well worth to check out. It is located in Downtown LA though, and is not the typical destination for the more traditional scenic SoCal wine-tours, in which you are more likely to find in places as Los Olivos and Santa Ynez. Other wine-tasting venues to check out for those who want to remain in the city include: Silver Lake Wine, Colorado Wine Company, The Wine House, Rosso Wine in Glendale, Mission Wines in Pasadena, The WineYard in Thousand Oaks, Total Wine & More in Redondo Beach, and the Wine Crush in Long Beach. The Friday Night Wine Tasting on Hollywood Boulevard by the Barnsdall Art Park Foundation is also a popular destination. An increasingly popular wine-tasting room in Los Angeles County is the Rosenthal, situated right across the Pacific in the City of Malibu. 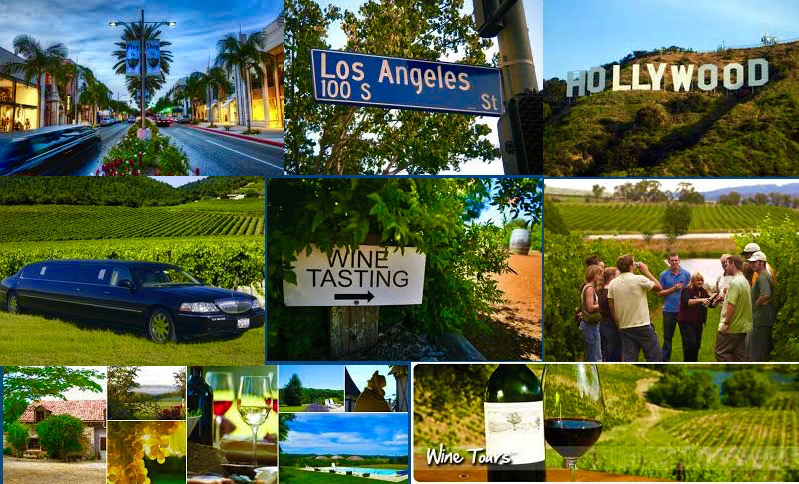 Click here for more information on our Malibu wine tours. You may think of sand, sun, beach, and surf, but the Malibu Canyons and Malibu Hills, right above the city itself, is one of the fastest growing wine regions in California and also an increasingly popular destination for our LA wine tour clients. This area is surrounded by natural beauty and a country-side atmosphere, despite being a relatively short drive away from the cities of Los Angeles, Ventura, and Santa Barbara counties. Which is also likely the reason for its increased popularity in the past decade. There is a total of more than fifty other wineries and vineyards spread throughout Malibu- and the Malibu Canyons, but the more popular among our Los Angeles wine tour clients are Cornell, Malibu Family Wines, and SIP. Many of the wines made throughout this region can be tasted at the Cornell Winery and Tasting Room on Mulholland Drive, which offers a wide variety of Malibu wines. Malibu Family Wines has a scenic natural beauty of being nestled in between a canyon, and offers outdoor dining for picnicking, and sometimes also serves food from food-truck on the location for popular events here such as the stand-up comedy night and other nights of entertainment, such as concerts and outdoor movie screenings. Check their calendar or call us for information about events coming up. Malibu And Vine offers much of Malibu’s best in wine, along with Sunday brunches for food and wine matching. SIP Malibu Cielo Wine Bar offers wine grown at the Cielo Malibu Estate Vineyard and varieties from Northern California. SIP Malibu also offers beer-tasting, which also can be experienced at the Ladyface Alehouse. Other wineries and vineyards in the Malibu Canyons include Casa Dumetz Wines, Dolin Malibu Estate Vineyards, Hoyt Family Vineyards, Church Estate, and Malibu Solstice. The most commonly grown wines in this region are Cabernet sauvignon, Chardonnay, Merlot, Viognier, Grenache, and Muscat. Santa Ynez Valley not only offers delicious wines, but beautiful nature and landscape. The gorgeous wine country, landscape, and vineyards of Santa Ynez, Los Olivos, Buellton, Ballard, and elsewhere in the Santa Ynez Valley are the most popular among our Los Angeles wine tour clients. These wineries are located in beautiful, scenic, and panoramic natural beauty, and truly offer the most traditional wine country of Southern California. It is no wonder why the Santa Ynez Valley has become our number-one selling wine tour. Everything from the quiet surroundings, great selections of great wine, and natural beauty of rolling green hills have made this region among the most frequently visited areas for wine tourists in California. The Santa Ynez Valley has an abundance of thriving wineries and winetasting locations, which certainly makes it more difficult to end up with a disappointing wine experience, but we would nevertheless like to recommend a few. In no particular order, the six most popular destinations among our Los Angeles wine tour clients are the Rusack Vineyards, Bridlewood Winery, Sunstone Winery, Rideau Vineyard, Koehler Winery, and Zaca Mesa Winery. All of these have distinct characteristics and wine varietals, but our knowledge and insight will help you select your ideal wine-tour destination. Rusack Vineyard, situated in the quiet Ballard Canyon by Solvang, offer great views of the Santa Ynez Valley and you can occasionally see roaming bison on the rolling hills nearby. Besides the scenic landscape, Rusack offers great wine varietals including Sauvignon blanc, Sangiovese, Bordeaux, and Pinot noir. Their Bordeaux, called Anacapa, is a wine absolutely worth trying out! Bridlewood Winery has a horse-like theme and the focus here is on its Rhône varieties, including eight different varieties of Syrah alone! Its location is removed from the main road in an exceptionally peaceful spot, perfect for enjoying wine or picnicking surrounded by nature and greenery. Sunstone Winery, located about a mile from Kalyra Winery, is also known for its natural surroundings, but also its Tuscan architecture and atmosphere. Sunstone is widely known for their Merlot, but also serves great varieties of Syrah, Bordeaux, Viognier, and Sauvignon blanc. Less than eighteen miles to the west is the Santa Maria Valley, separated by the scenic Foxen Canyon, and is also frequently visited to L.A. wine tours to the Santa Ynez region. The Santa Maria Valley is vast, stretching from the Santa Lucia Mountains toward the Pacific, and is located just south of the Arroyo Grande in northernmost Santa Barbara County. This Viticultural Area (AVA) is among the oldest wine growing regions of California, dating back to the Mexican Colonial period in the 1830’s. Today, there are more than 7,500 acres of vineyards in the Santa Maria Valley, which also are largely spread out throughout the valley, requiring a car to even visit a couple of them. Wine tasting venues and vineyards here are located in cities such Lompoc, Guadalupe, Los Alamos, and rural areas adjacent to the Santa Ynez Valley, which also is located in Santa Barbara County’s great wine region. The most predominantly grown wine grapes are Pinot noir and Chardonnay, but this region brags among the largest wine varietals in the world, including 23 other wine grapes in the same valley. Some of the wineries in this region are located in industrial city downtowns, while others are located next to their respective vineyards out on the country side. Unlike the wine-tasting venues of nearby villages of Los Olivos and Santa Ynez, as well as Solvang, where the wineries are located in walking distance to one another, the wineries of Santa Maria Valley on the other hand are located far from each other. That also makes chauffeured wine tours to this region particularly popular. A great initial source for experiencing the Santa Maria Valley wine country is to visit the website www.SantaMariaWines.com, which is particularly handy because of this region’s wide variety of very different wine varietals and selections. 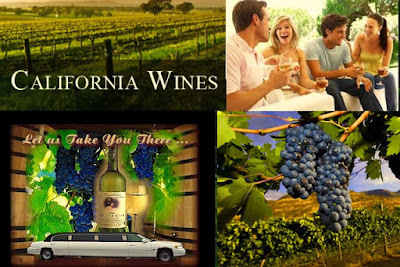 While the Cambria Winery and Vineyard is the largest one in the Santa Maria Valley, the most popular wine tour destinations for our L.A. wine tour customers are the Flying Goat Cellars, Pali Wine Company, Dierberg/Star Lane Winery, Costa De Oro Winery, Rancho Sisquoc, Kenneth Volk Vineyards, Demetria Estate, Tantara Winery, McKeon Phillips Winery, Cottonwood Canyon, and Foxen Winery. 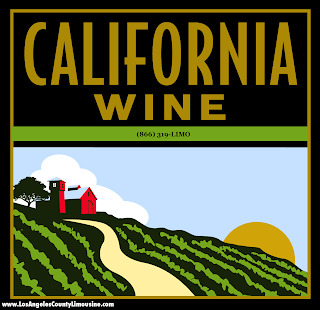 Flying Goat Cellars, Pali Wine Company, and Dierberg/Star Lane Winery are all located in the Lompoc area, and being less than twenty minutes west of the Santa Ynez Valley, are often combined with LA wine tours to nearby villages of Los Olivos, Ballard, and Santa Ynez. The Dierberg Vineyard and Winery might be the most scenic one to visit, situated in the beautiful Happy Canyon off the beaten path surrounded by natural beauty such as rolling hills, greenery, and panoramic views of the hills, valley, and miles of vineyards. Their particularly known for their Sauvignon blanc, which is absolutely terrific, and other more value-priced varietals such as Merlot, Pinot noir, and Cabernet sauvignon. Check out our Temecula Wine Tour selections! Temecula in Riverside County is derived from the Native American word for “the land where the sun shines through the mist”. Most of the land here is situated more than 1,200 feet high and the region is known for the cool coastal mist being drawn in over the valley to make exceptional wine grapes despite its dry climate. Some of the wineries and vineyards worth checking out in Temecula are the Bella Vista Vineyard and Winery, South Coast Winery, Cougar Vineyards, and Robert Renzoni Winery. Each June, the Temecula Valley Balloon and Wine Festival draws thousands of wine enthusiasts to the Temecula wine country. Temecula is among the most popular California wine regions besides those found in Mendocino-, Napa-, and Sonoma counties of Northern California. The wine varietals here numerous, but started off in the 1960’s with its famous Merlot, Chardonnay, and Sauvignon blanc. Temecula is among the very few wine regions with a semi-arid climate, in stark contrast to the Mediterranean climate of Santa Barbara County, Los Angeles, and the Malibu Canyons. Cooler-climate wine varietals such as Pinot noir is therefore not among the popular varieties here, but rather wine grapes suited for the hot climate, such as their great Rhone, Zinfandel and Cabernet sauvignon. American Luxury Limousine also offers wine-tours to vineyards and wine country beyond, for instance LA wine tours to Central California, San Diego County, and the Inland Empire. For more information or recommendations about these or any of our wine tours, please feel free to contact us today. There are also great wine tasting venues located in larger cities, such as in Santa Barbara, Solvang, Thousand Oaks, Manhattan Beach, and elsewhere. Whatever your preference in wine and atmosphere, we are confident we will be able to find a customized wine tour that fits your preferences as well as taste buds.